Canvas utilizes innovative styling using the latest materials and trades to create stylish, yet comfortable, living spaces for families of all ages. 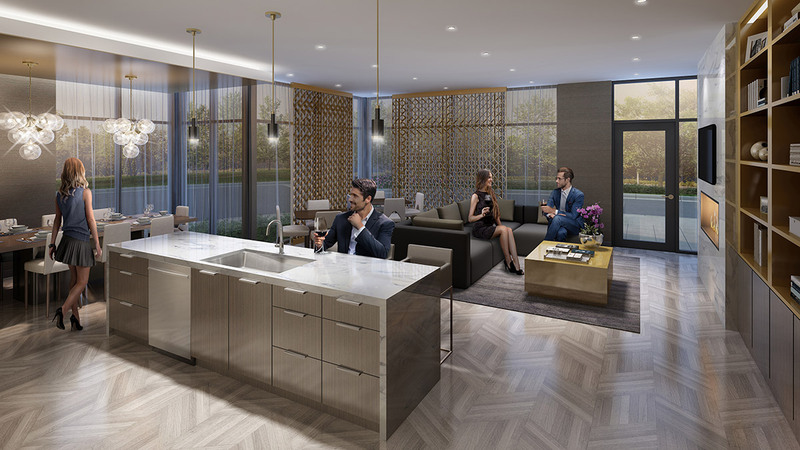 Suites fill with natural light, the fit and finish is elevated, and the level of craftsmanship is revealed. 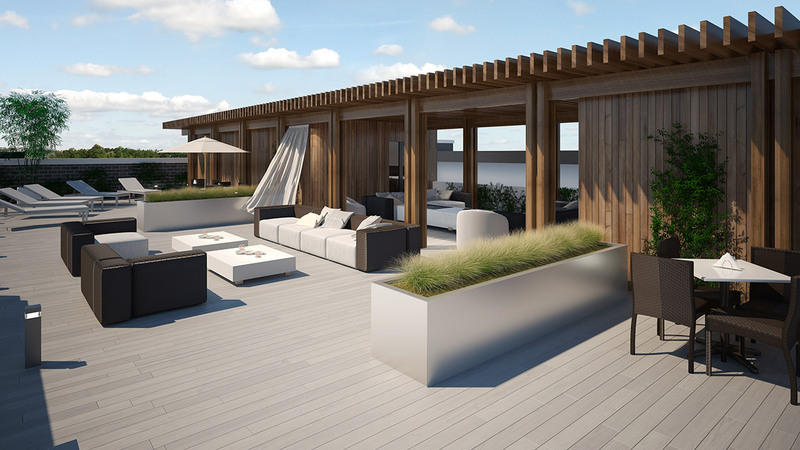 Entertain guests or simply sit back, take a deep breath, and relax as a gentle breeze greets you on the luxurious rooftop terrace. This outdoor oasis offers stunning views overlooking greenspace as far as the eye can see in virtually every direction. 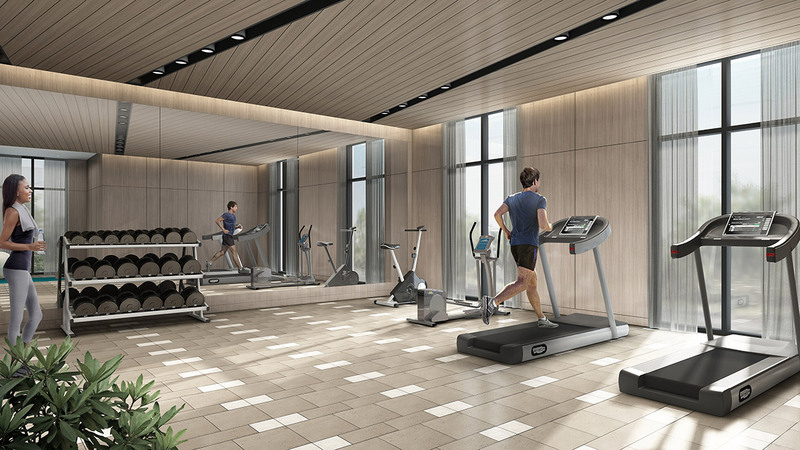 Whether it’s strength training, cardio, or perhaps you just need a good stretch, the Fitness Room at Canvas has all the health and lifestyle amenities of a high-end gym with the convenience of being minutes from your suite. 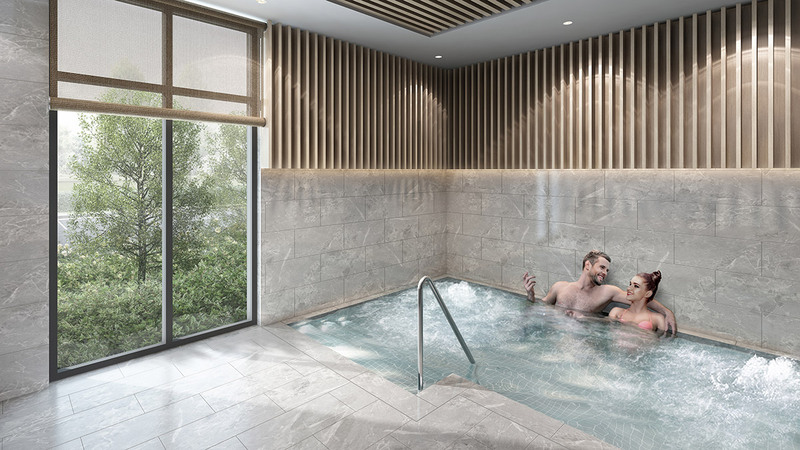 Let the stress of the day fl oat away as you unwind in the Jacuzzi / Spa Room. Or soothe the aching muscles you just put through their paces in the Fitness Room. At Canvas On the Rouge, the choice is yours. Hosting 5 or 25? The Party Room at Canvas is fully-appointed with everything you require to make your gathering of friends, family – whomever, all you imagined it could be.